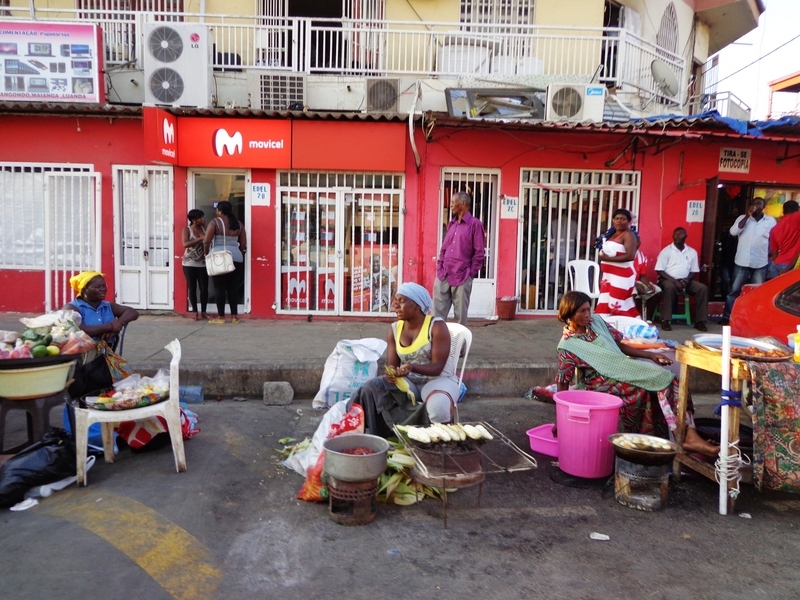 In a move aimed primarily at improving the image of Luanda, Angola’s capital and largest city, the government announced a controversial measure: from now on, it would be illegal to engage in street trading in Luanda. Buyers as well as sellers would be fined. 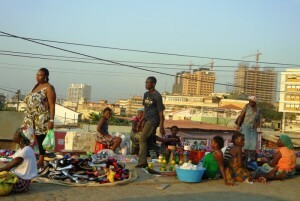 Street sellers have been a way of life in Luanda since colonial times, and there are several songs from well-known national musicians that celebrate this particular part of the culture. These men and women sell just about anything and everything on the streets. Angola is currently one of Africa’s strongest economies and is enjoying new-found wealth coming primarily from its oil industry. However, the wealth does not trickle down to the great majority of Angolans, and the country has maintained one of the worst social inequality levels in the world. “The Governor of Luanda Fights Street Vendors” was the title of one of the most liked and shared posts last week by Mana Mingota (Sister Mingota, in English), one of Angola’s most popular Facebook pages. A fictitious character, almost no one knows who is behind it. Yet the page, which posts advice, humor, and commentary about a diverse range of subjects that appeal to the country’s younger, Internet-active generation, has nearly 76,500 fans – more than most well-known brands and celebrities in Angola. Popular reaction to the government’s latest measure has been one of incredulity mixed with widespread condemnation, but it’s important to note that not everyone thinks this way. Many have applauded the government’s decision, saying that street selling was getting out of hand and that it was detrimental to the city’s image. And I’ve seen how zungueiras can turn any empty patch of concrete or asphalt into an unsanitary open-air market. Street selling is not the problem – rather, it is the effect of a much larger issue, which is the government’s inability to address the massive gap between the haves and the have-nots. It is the government’s inability to address poverty despite the huge oil riches that the wealthiest Angolans are enjoying. And it is their mistaken belief that the way to deal with poverty is by hiding it. Angola is a country where the National Registry is closed for four days because there’s no “system” (read: intranet). Where a routine Western Union or Moneygram transfer can take several trips and several hours. Where there is no reliable water or electricity distribution. Where the government is incapable of providing even the most basic services to its population. Where the government spends only a small fraction of its budget on health and education, amongst the lowest figures in Africa. Where corruption is a way of life and where the government has forgotten its promise from independence that the most important thing to do was to resolve the people’s problems. The zungueiras and the country’s poorest will continue to bear the brunt of this image-conscious makeover until more serious policies aimed at reducing poverty and giving the poor another option to sustain themselves are enacted. Cláudio Silva is an Angolan finally living back home in Luanda after formative years in Washington DC, Boston, and New York, with a few stints in Portugal and the UK. He is passionate about good governance and sustainable development, but also food and music. He describes himself as an entrepreneur, news junky and keen writer.